Published Carson Arthur – March 20, 2015 Looking for our Share & Win contest? Proudly presented by Curb Appeal Concrete Landscaping Borders. Serving Central Florida since 1997. Call today for your FREE estimate. They Laughed When He Said ‘I Live in a Garage’. But After Seeing It? Pure Jealousy. I loved this tour of a space that seemed impossible – but to the right frame of mind, it can be incredible! No wasted space! Just like Landscaping! Jeremie Buchholtz needed a spot to stay when he was splitting his time between Paris and Bordeaux, France. This photographer’s budget was limited, and he wasn’t up for staying in roach motels everytime he visited Bordeaux. He happened to find a garage for sale within his budget and wondered if he could turn it into something livable. As luck would have it, his friend, Matthieu d Marien, specializes in converting odd spaces into homes. With his genius, and a lot of tenacity, they turned this run down garage into an abode worth vacationing in! De Marien knew his friend had found a special space. But he had some restrictions when remodeling – the roof couldn’t be touched, which meant sunlight would have to come in another way. De Marien carved a 129 square foot patio out of the small space, leaving only 441 square feet of living space. In order to make the interior space feel larger, De Marien created a “house within a house”: one large piece of furniture that includes the bathroom, bedroom, office, closet, a sofa bed and all of the home’s storage. With everything contained in this large furniture box, there’s plenty of living space left over. Take a look at the video below to see Jérémie’s garage home now! It’s an amazing redesign of a small space! When should you leave it to the professionals? WHILE THE IDEA of taking on a bit of DIY sounds like a good idea, knowing where to get started can be a bit bewildering. While some people will call in a plumber or electrician at the first sign of trouble, others will stubbornly persevere on their own. To find out a bit more about what you should be attempting, and what should be left to professional, TheJournal.ie spoke to Gerry Fallon from Expert Hardware to find out more. Correct me if I’m wrong, but DIY is for middle aged men who like spending time in sheds. How does someone not in this demographic get involved? The first thing to do would be to look around the home and see the sort of jobs that you can do. Whether it be small or big, if it is a big job people might tend to sort of tear into it – which they shouldn’t really do. The second thing to do is to make sure that you have the right tools for the job. You can gradually build up a very comprehensive tool box over a period of time, which will probably then do for 99% of the jobs around the house. Tradesmen can be pretty expensive. Do you think people can be a bit hasty to call out reinforcements? I do, people often rush to hire plumbers and electricians. Plumbers probably more so. A lot of plumbing jobs can be done at home. They are quite simple, but people are afraid to tackle them. A call out for a plumber can range from €100 to €120 – and that is just for a call out. So is there anything that people definitely shouldn’t do at home? Anything electrical. 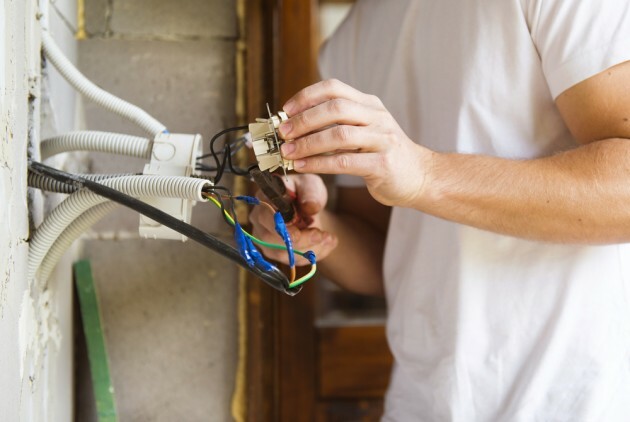 Wiring a plug isn’t a problem, but if you are tampering with the system itself, the workings of the electricals in the house, I would certainly leave to the experts. Wiring around the home should probably be left to the professionals. So besides avoiding electrocution, DIY sounds pretty easy. Would fitting a kitchen would be easy enough as long as you followed the instructions? It is possible, but you’d want to be very, very keen at DIY to attempt that. There are so many trades involved in it. The majority of people could find themselves quite handy at painting, but they might not be so good at plumbing or carpentery. Everybody sort of excels at different aspects of DIY. Going back to tools, how much could a person expect to pay out? Depends on how professional you want to be. You can get a very good range of toolboxes with a basic range of tools that would do around 80% to 90% of jobs in the house for less than €50. 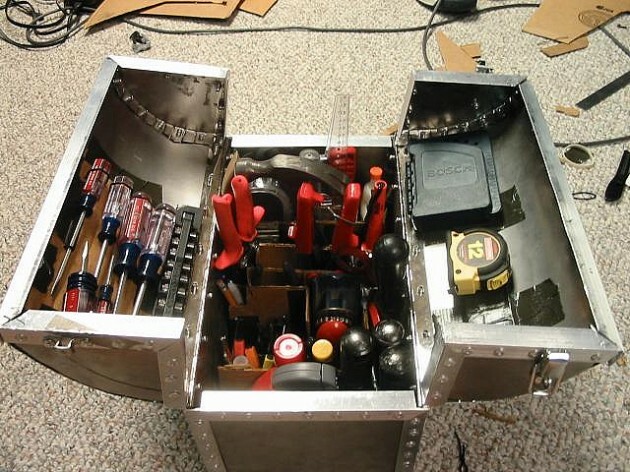 We had a toolbox about two years ago and it was around the fifty to sixty mark. You will get cheaper ones – but if you’re going to the bother than it it better to really get quality tools. And what sorts of things do the have-a-go handy men and women of Ireland get wrong? I think they get into jobs before they realise how big they are. It is like taking a sledgehammer to a job that a hammer will do. You just have to stand back and look at it and know that you can do it before taking it on. There is nothing worse than starting a job and then having to get in a professional to finish it off. What are a few examples of the things that people can do around the home themselves? Fixing a leaky tap. It’s not a big job but again it is quite daunting. People are afraid of water leaking around the house. It is a very, very simiple job to do. There is so many videos online that do help people do these things. Insulating an attic. It sounds like a very big job, but it is very simple. All you are doing is rolling out insulation to cover the whole area. Fixing a faulty lock. Calling out a locksmith, and again you’re paying call out charges, where changing a lock is a very, very simple process. To get down to it, how dangerous is DIY? Getting back to what I said – anything electrical is dangerous. People sometimes might also try and go up the side of a two storey house on a ladder. They might be cleaning a gutter or doing some painting. If you are not used to it, it can be very, very dangerous. Working from height can be dangerous. You have to realise really your capabilities. Start small, work your way up, if you’re a first time DIYer. Any clever things people can do now we’re getting into the summer? Things like cleaning a deck, that is something that people are starting to do now. To clean it down and paint it up again for the summer. Start small and identify jobs around the home that need to be done. Hire in a professional to deal with the majority of electrical jobs. Expect to get a decent tool box for around €50. Jobs like fixing a tap, insulating an attic or fixing a faulty lock do not require a professional. Avoid rushing into big jobs, as this can lead to having to call out a professional at a later stage. Trying to shovel concrete into a form is hard. Don’t let anyone make you think it’s easy! 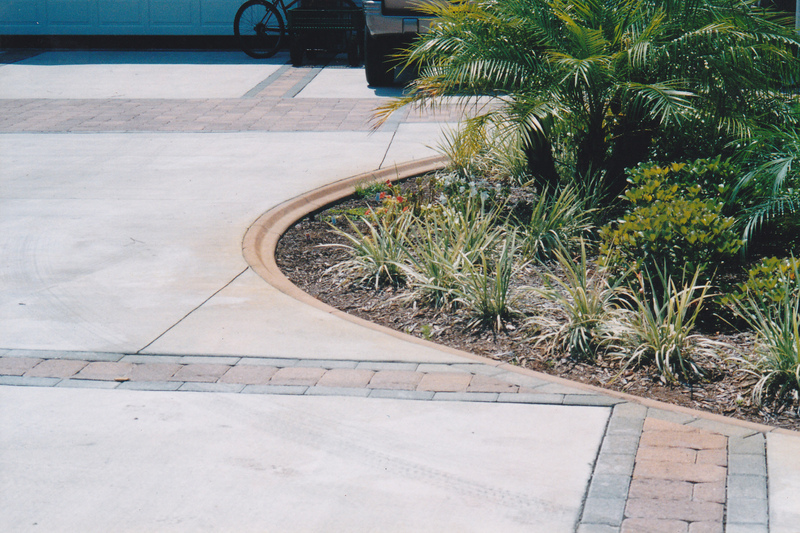 Curb Appeal Concrete Landscaping Borders has the equipment that flows along your design, with a continuous concrete border that won’t move, rot or break (within reason). 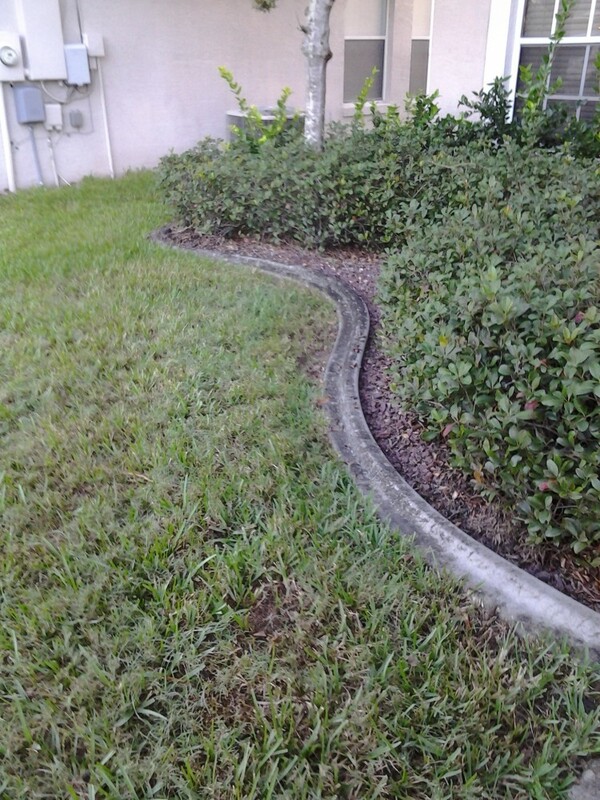 Contact us today for your free estimate within Central Florida! In business since 1997. A new homeowner asks about the best way to use the winter months to get started on planning their garden. I am a first-time homeowner and I really want to start transforming my yard. What’s the best way to plan my summer garden now? Congratulations on your new home! It’s fun to be in a new space, but it can also be overwhelming. 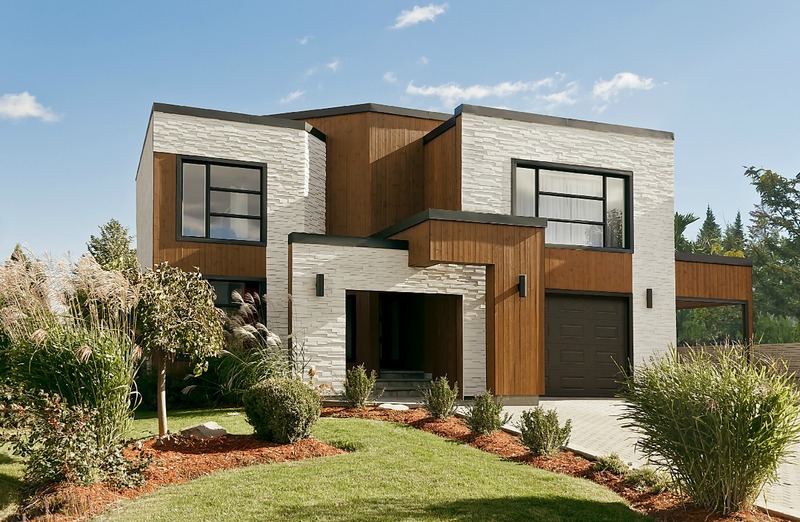 Although I’m sure most of us would love to simply hire a landscape architect and turn our backyards into a dream space, that plan doesn’t always fit within our budget. And to be honest, most homeowners find that investing in their yard, and working on it slowly over time, is a great way to get your hands dirty and learn your space. Master gardeners and home experts are always thinking of their garden, even when it’s covered in snow. Winter can be the best time of year to get prepared “behind the scenes” and do some planning. I know what it’s like to feel overwhelmed with your yard and it’s not always easy to know where to begin. Unlike our interiors, change in the yard can be slow, and it can be frustrating planting flowers or shrubs only to have them wilt or die. But on the other hand, working in the yard can be theraputic and mistakes can be easily turned into successes. Let’s walk through some great winter ideas for planning your new yard. There are so many great resources for your yard online. 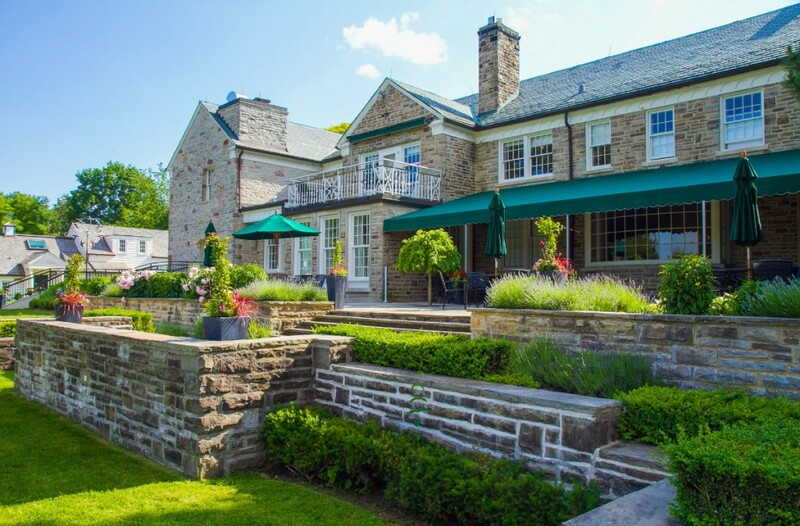 You can browse throughlandscape projects, scrapbook your favorite ideas, and search for professionals that you might want to hire (like lawn care specialists, irrigation specialists, or tree specialists). If you’re interested in specialty plants like roses or vegetables, researching what types of plants thrive in your plant zone is key. Research before you buy, make some lists and get your plans in place. Winter and spring are prime months for local flower and garden shows (read our tips here for getting the most out of visiting a show). These are perfect places for getting inspired by unique garden designs, asking questions from the vendors, finding out about new products or perhaps purchasing unique bulbs and plants. If you have specific issues or questions about your yard, take a few photos and bring them with you. The vendors exhibiting at these shows can give you some great free advice and this is the perfect opportunity to actually schedule an on-site visit from a pro. Additionally, your local garden show might feature lectures and classes from master gardeners or garden club experts – what a great opportunity to gain insight and get inspired! Even if your yard is small, it might be easiest to plan out and work in zones. It might simply be a matter of dividing your yard into back, front or side or you might be more specific like “yard near the back stairs” or “area next to front door.” You might not be able to afford redoing your whole yard – many homeowners work on their yards for decades. Long ago an expert advised me to simply start with the areas closest to the house, like the areas right in front of your windows. These are the areas you tend to notice all the time. Once you’ve planned out those regions, start moving outward to the areas you use or look at the most. Once you’ve purchased plants or seeds and started planting them, hold on to any information that came with that plant. Some gardeners keep a garden journal, really a place to keep track of what was planted where. You’ll also want to refer to these info cards for watering details, pruning suggestions or fertilization. Here’s an article about how to start a garden journal. When the weather is not great for visiting a nursery or working in the yard, make sure your tools are cleaned and ready to go. Winter is a great time to oil wooden handles, sharpen edges, clean and organize your tools, or perhaps invest in a few new tools. Good quality garden tools should last years and taking good care of them will only make your work in the garden easier. In addition to being aware of your landscape budget this season, be aware of your planned water expenditure as well. New plants tend to need more water than established plants, and certain species (like grass lawns) need lots of water to survive the summer. Even if you live in a wet climate, it’s smart to group plants together based on their water needs, this will help you save money and time when watering. 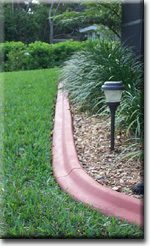 You can also invest in a drip irrigation system or install a sprinkler system. Whatever you plan for your garden,consider these water saving tips for your yard. Another great way to be water conscious is to start with healthy soil. Adding compost to your soil before planting will mean that your plants get the nutrients they need. 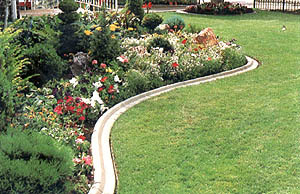 Mulch helps retain water and can keep weeds at bay. If you don’t compost already, starting your own pile is really easy. Read all about composting here. I don’t know about the rest of you, but I’m putting some of her ideas into action this spring! Call us if we can help you design your plan! One common mistake many homeowners make is forget to stage their exteriors. Exteriors, just like interiors, have a big impact on buyers as they are the first thing they see. 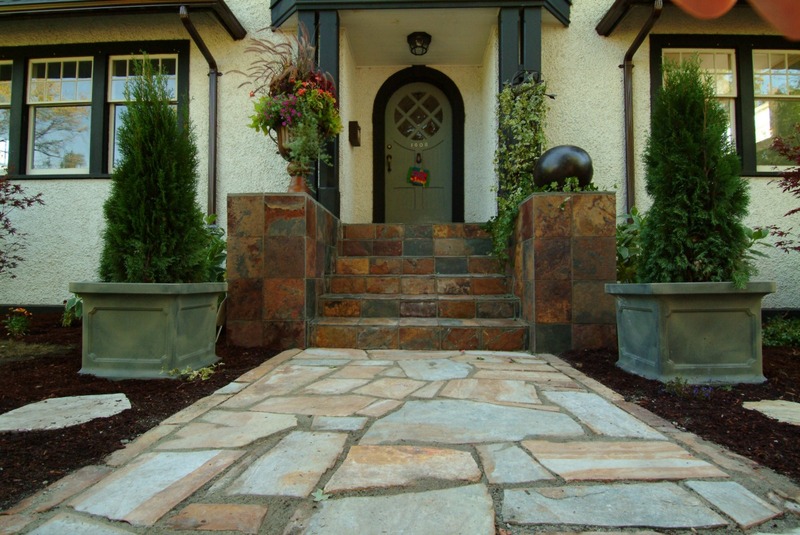 If you are planning to sell your house as quickly as possible, stage your exterior. Buyers might be so impressed they pay the asking price. If you want to update your landscaping, use these landscaping tips. 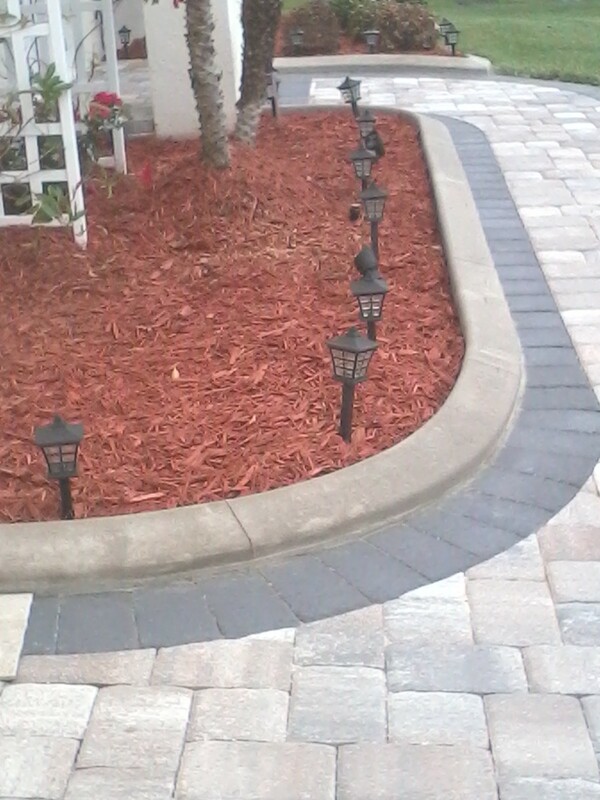 A fresh layer of mulch makes a lawn look brand new. Mulch protects the roots of your plants from extreme temperatures, helps plants to conserve water, and prevents the growth of weeds. Set aside a day to touch up the mulch in all your garden beds. The color will augment the difference of the surrounding plants and make everything come alive. 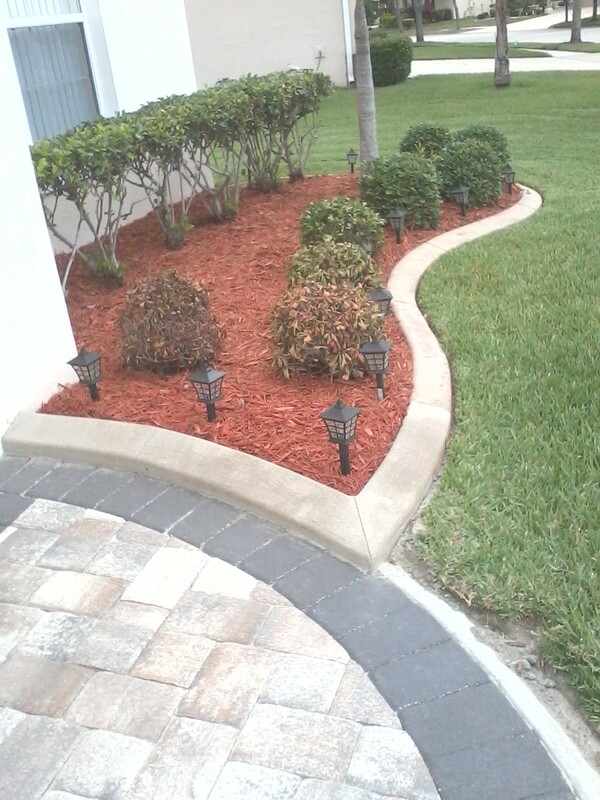 As well, mulch is not expensive and is very easy to apply. 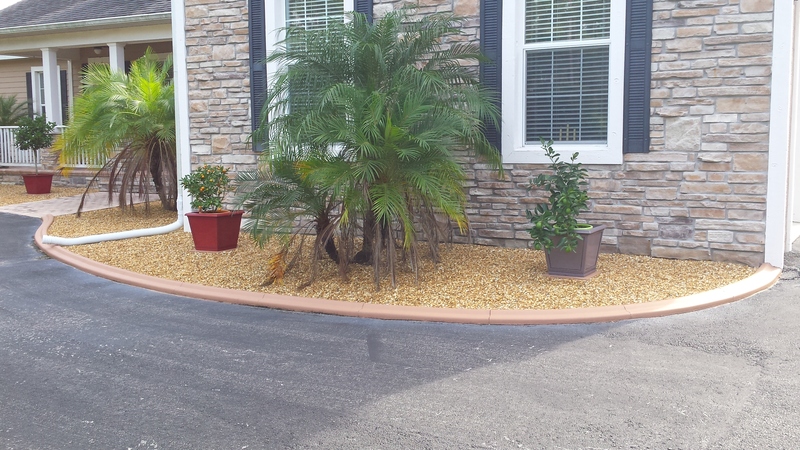 If you want to add more color and texture, use decorative mulch between plants. Dead branches and trees show buyers that a property is neglected. No matter the season, prune your trees and shrubs to keep your exterior looking neat. Buyers will see that your house and garden are both well-maintained. If you have deciduous shrubs and trees in your exterior, be sure to trim them regularly. Perennials have gorgeous foliage and striking blooms. However, they can quickly die if they are not tended to. If your perennial plants do not look as beautiful as they should, tidy them. Get rid of those that are in bad shape and replace them with new ones. You can also use decorative pots in their place. Keep in mind that many perennials stop blooming after they produce seeds. Remove fading flowers before they form seeds to encourage the plants to continue blooming. Irrigation system repairs can be costly and buyers may be turned off by irrigation problems. If your irrigation system has issues, fix them. Don’t transfer the repair costs to the buyer. Give buyers information about your irrigation schedule if you have an automatic system. Show them how the system works and advise them to use the same watering schedule for the best results. Experts say that a house must be sold 3 times to buyers: online, when they drive by, and when they come inside. Since they see the outdoors when they drive by your house, it goes without saying that your landscaping must be impressive. If they don’t like what they see when they drive by, they won’t be motivated to come inside. The above landscaping tips won’t break the bank, but they’ll give you a good ROI. For more home staging tips on Stagetecture, click here. Also check out About.com Home Staging for Ronique’s tips. 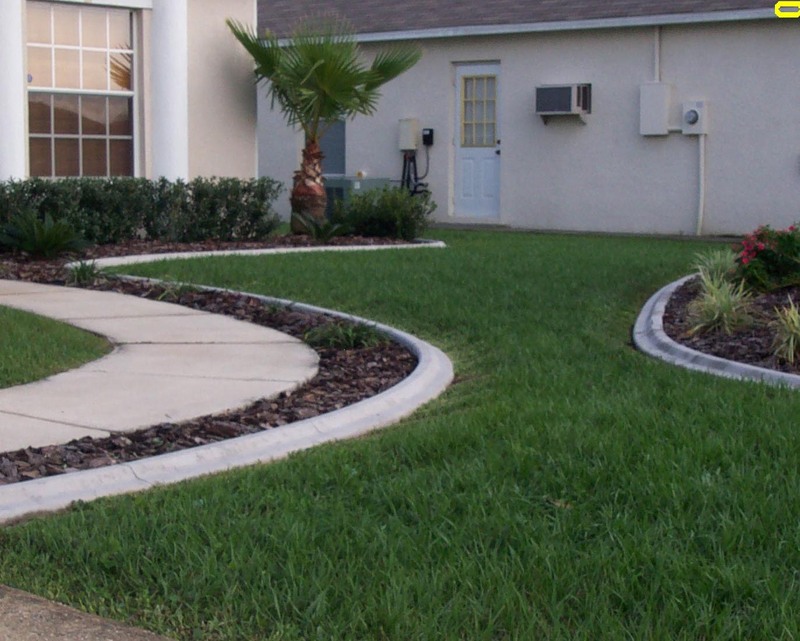 Contact Curb Appeal Concrete Landscaping Borders – your local source for landscaping design! 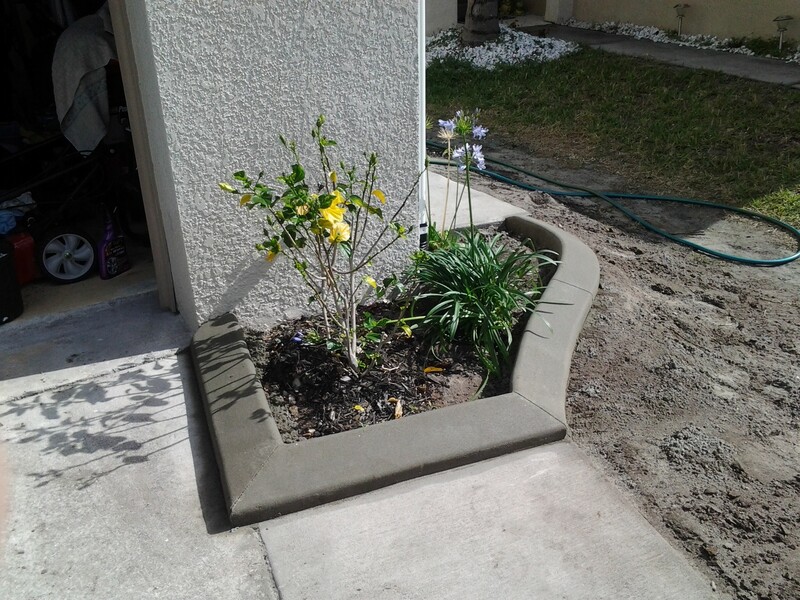 Proudly brought to you by Curb Appeal Concrete Landscaping Borders, where our estimates are FREE within Central Florida. Call today for details. Understand the basics of using a pressure washer on your property. If you live in an area prone to moss or even mold, you’ve probably tried your hand at different methods of removal, including pressure washing. Although beautiful to look at, and beneficial to the environment, moss can pose a serious threat to sidewalks, roofs and driveways. 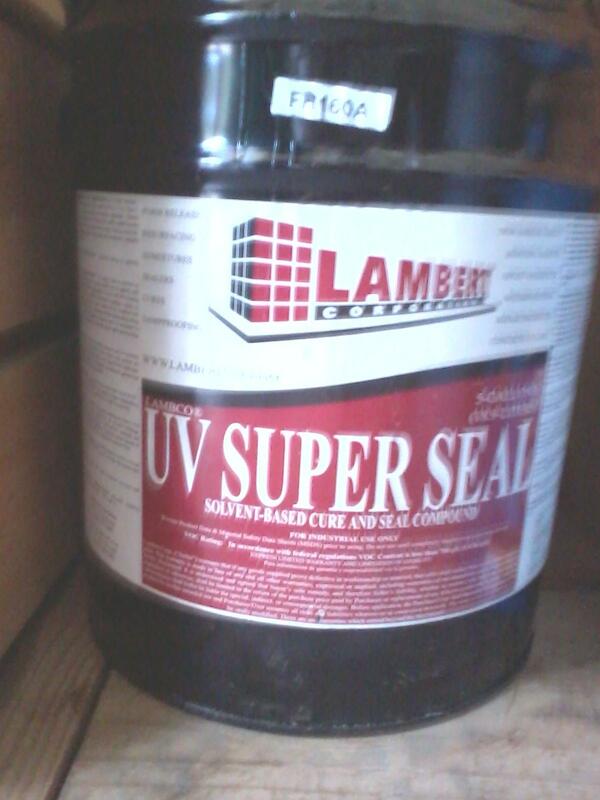 It can be extremely slippery when wet and over time, can do damage to shingles and concrete. Depending upon your regional climate, you might find that removing moss from your home or property needs to be done as often as once or twice a year. One of the most effective ways to remove stubborn materials like moss, bird poop or gum is using a pressure (or power) washing machine. A pressure washer pushes water out with a powerful surge of water, which acts like an abrasive. When it comes to removing moss there are chemical based cleaners, or good old fashioned scraping, but removing moss from aggregate concrete or other materials might actually be done more effectively with a pressure washer. You can purchase gas-powered or electric pressure washing machines at a store like Lowe’s, or you can rent a machine or hire a pressure washing professional. The type of machine you choose might be determined by your budget or the scope of your project. If you are regularly keeping up with moss removal, or have a small property, you might only require a light-powered machine. If you have several hours of work, stubborn moss issues, or are planning on sharing a machine between neighbors, it might be a smart idea to invest in a high-quality machine. Like other regular maintenance tasks, whether or not you hire a professional or do this yourself will depend on the amount of time you want to invest in doing this task as well as how much you want to invest in the equipment. Some homeowners choose to do their own pressure washing because it gives them the control to perform this task whenever they want and wherever they want. Pressure washing isn’t a highly skilled task however, it can be physically challenging. Others may choose to hire a pro because they don’t care to invest the time or money, or may not be physically able to do this task. When considering hiring a pro, you’ll want to take a general measurement of the areas to be pressure washed, as well as a general idea of the scope of the project. 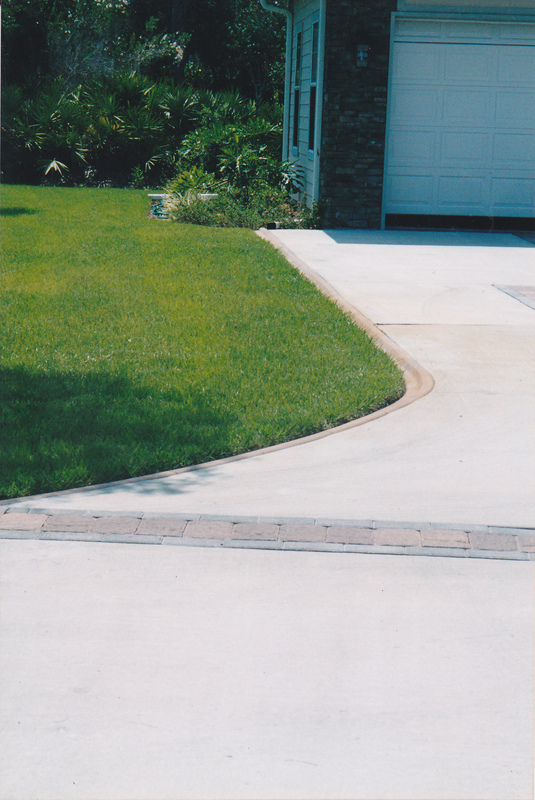 You might only need your driveway done or you might need a large property pressure washed. The force of the water can be strong enough to remove paint from exterior siding, splinter fences, remove shingles from a roof or ruin your landscaping. If it’s your first time pressure washing, you’ll want to be very cautious with any material other than stone or concrete. 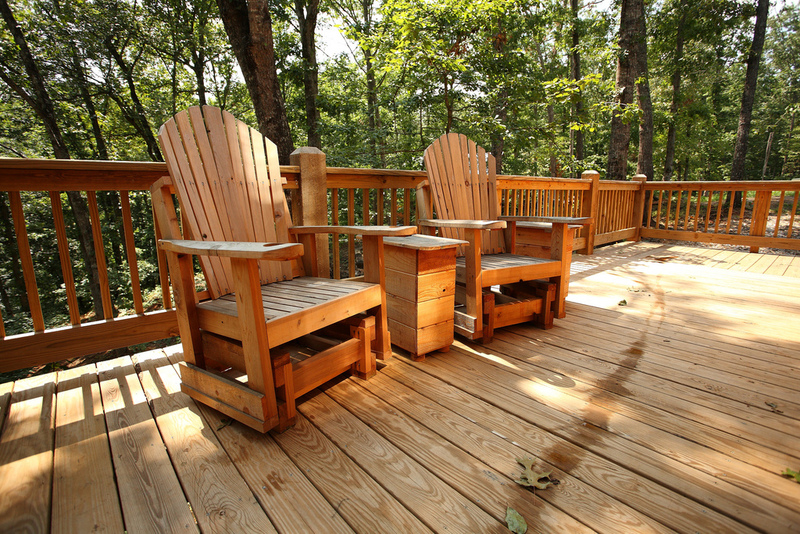 Some outdoor furniture can withstand pressure washing, but others could become damaged. If you aren’t sure, you can test a very small area, but use caution. It’s generally not recommended to pressure wash roofs (except for metal roofs), wood or painted surfaces. Because water is being forced at a very high level of pressure, it’s a good idea to wear protective eye ware to prevent small rocks or pebbles from bouncing up into your face. It’s a very wet job so wearing good rain gear and boots is a good idea. If you are using a gas powered machine, use caution when operating and be aware of the carbon monoxide being produced. Some people prefer to wear protective ear plugs as well as prolonged exposure to loud noises can damage your hearing. Always read the operating manual to ensure that you are using the right type of gasoline and oil as well as properly maintaining the machine. We were just called to help a homeowner on a local property. With a few tricks of the trade; here are a couple of before and after shots! Their Homeowner Association tried to write them up. 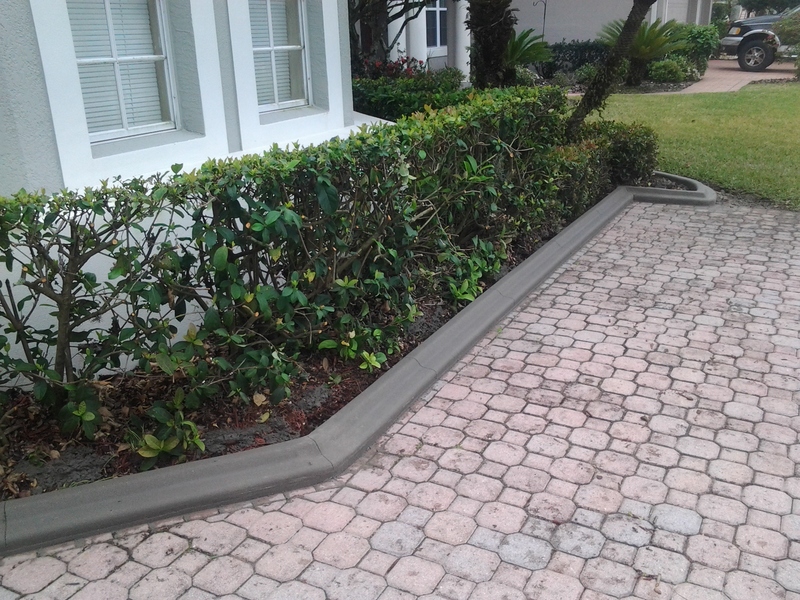 After one call to Curb Appeal, Concrete Landscaping Borders.., no more issues! Call us today for your free estimate!